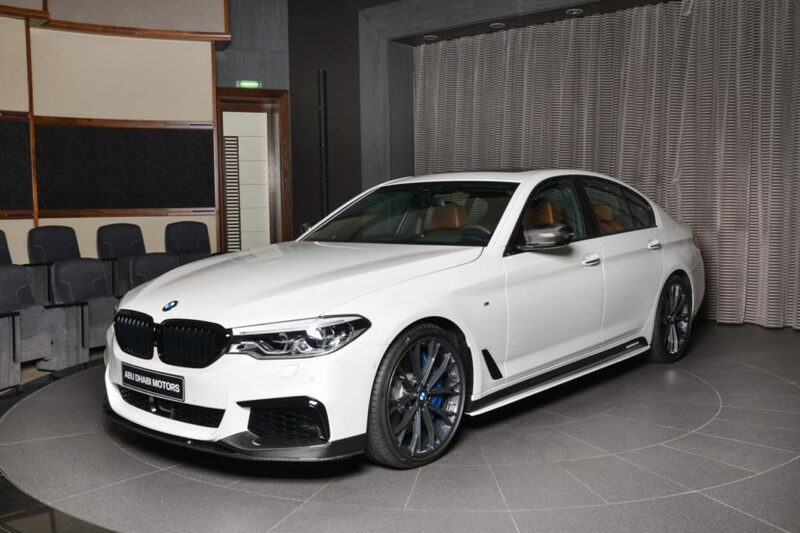 Even though BMW announced that the M550i model’s production will be paused for a while, cars ordered prior to this planned hiatus are still being delivered around the world. The guys in Abu Dhabi have recently delivered one such car and, as we’ve grown used to, this one too is not ‘standard’ by any means. Instead, it received a full M Performance kit on the outside, enhancing the sportiness of the Bimmer. 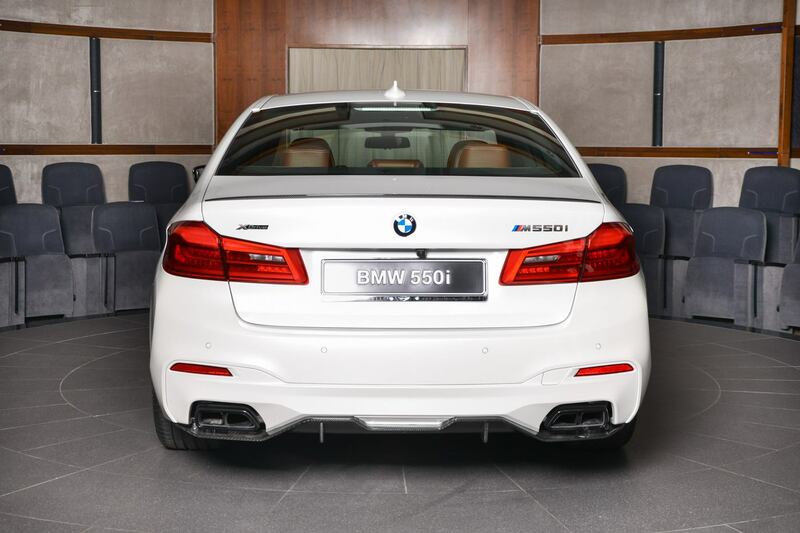 The M550i is already a more aggressive version of the standard G30 5 Series models. It comes with a couple of well thought out details on the outside that highlight to the connoisseur that this is no regular 5er. The Cerium Grey accents are the immediate giveaways, in case you’re wondering. Every M Performance model out there sets itself apart from the crowd thanks to these accents in the shape of blades in the front bumper’s air intakes and the mirror covers. The car we’re looking at today goes further though, as it uses extensive carbon fiber bits all over the body, from the front bumper and its air splitter, to the mirror covers, boot lid spoiler and rear diffuser. Then there are the other M Performance goodies to notice as well, such as the blacked out kidney grilles, side sills and 20″ wheels in Orbit Grey. The interior was done in brown with wood inserts on the dash and doors. There’s no mention of upgrades being done under the hood but the standard M550i xDrive model already has plenty of punch under its belt. 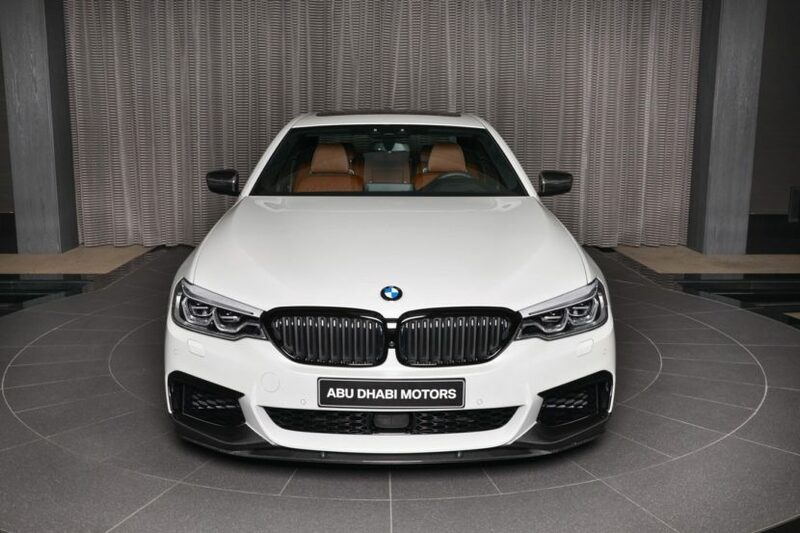 The 4.4-liter V8 delivers 462 HP and thanks to the xDrive all-wheel drive system, the M550i is faster than the old F10 M5, doing 60 mph in 3.9 seconds. That’s plenty fast for most people out there.